You may be able to play Fortnite on Android right now with a modded APK file, no matter what device you have, but if you do, know that Epic has a number of measures in place that could ensure that you never play the game on Android, or even some other platforms, again. According to Redditors yash1610 and HeN1N, the company’s ability to single out players for bans with extraordinary scope and accuracy comes from a number of factors, and is enabled almost entirely by the studio’s refusal to put the game on the Play Store. For starters, there’s the target API, the set of possible instructions and rules that the game has to work with. The installer app targets Android 8.0 Oreo, but the actual game uses the older, less secure API library for Android 5.0 Lollipop. This behavior is not allowed in the Play Store, but since Epic will distribute outside of Google’s domain, it’s totally fair game. Since user-facing granular permissions per app were not around in Lollipop, this means Epic can make the game do whatever it wants, and it has access to whatever information and files it wants. To put this into perspective, let’s do a quick example. If you play a modded APK on your Moto Z2 Force and get banned for it, the game could log your phone number, email, Google and Facebook information, and even your phone’s IMEI number. This means you would have to buy a new device, change your phone number, and use a different Google account to play again on a mobile device. Even then, your efforts may bthinke thwarted if you log into your Facebook or main Google account from that device. In essence, there’s a very good chance that getting banned because of a modded APK could mean you’ll have to buy a separate dedicated device to play Fortnite on in order to go mobile. If you use your main account, it will be banned across all platforms, wiping out your progress and purchases on everything from Sony PS4 and Nintendo Switch to PC and Microsoft XBOX One. Fortnite just can’t seem to avoid multiplatform controversy, first with Sony locking down accounts used on PS4 and preventing their use on the Switch and XBOX One, though thankfully not anywhere else, and now this. The game is currently in a device-limited beta run, support for more devices will be added down the road. If your device is fairly modern, you should be able to play simply by waiting your turn, though it could be a while. Otherwise, you could always install Fortnite on any old PC you have lying around and use Steam Link to play around the house, or if you have an NVIDIA GeForce graphics card, you can even use Moonlight to play over LTE from anywhere you are. To be clear, this doesn’t require a monster gaming PC; this writer’s circa-2011 Lenovo ThinkPad X220 with Intel HD Graphics 3000 can run it, albeit poorly, on low settings. You are reading an article on the PSA: Modded Fortnite APKs May Lead To Cross-Device Ban. 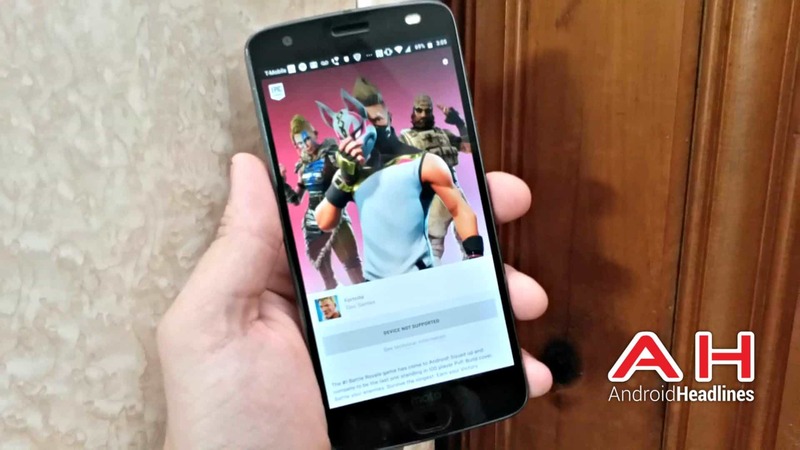 All materials on the site Gadgets F, а также и статья PSA: Modded Fortnite APKs May Lead To Cross-Device Ban - written for the purpose of information enrichment and we are happy if you like our magazine.